There is never a lack of opportunities to get involved at Northwestern Connecticut Community College! All of NCCC’s clubs and organizations look forward to welcoming new students. And with a variety of them to choose from – all representing a diversity of student interests – you’re sure to find a group for you. If not, you can always start your own club at NCCC – all ideas are welcome! Learn how to start a new club or organization here. 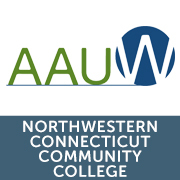 American Association of University Women (AAUW) – To Promote equity for women and girls through advocacy, education, philanthropy, and research. To Further the goal of breaking through educational and economic barriers so that all women and girls have a fair chance. To Empower all women and girls to reach their highest potential. The Autism Awareness Club’s purpose is to spread awareness and sensibility of the Autism Spectrum Disorder. “The Outlet” promotes efforts to meet the needs of the community, including college students, to further individual spiritual growth by offering opportunities for fellowship through Bible studies and various events. This group promotes the appreciation and practice of all forms of art within our own membership and the surrounding communities. This group promotes the Criminal Justice Program at NCCC through speakers, programs and scholarship. This group promotes the wellbeing of our members and uses role-playing as a healthy emotional outlet and to help further members’ understanding of themselves and others. This group promotes the well-being of children and families. Through activities, meetings and fund-raising efforts, connections are built between NCCC students, children, families and the surrounding community. This group promotes an appreciation of the historical past through shared discovery. It furthers historical knowledge and advances critical thought. This group offers meetings and social gatherings to bring together those people interested in health and health-related careers. This group strives to strengthen and sustain a welcoming and inclusive community for all NCCC students and provide resources on LGBTQIA. The mission of this student organization is to foster nursing education, facilitate unity among our future colleagues, classmates and leaders in nursing. This group brings together deaf and hard-of-hearing students, as well as students of American Sign Language for cultural, social and recreational activities. This group promotes accountable, compassionate and skilled graduates that can continually advance the art and science of the nursing profession. NAVTA promotes educational and social activities for Veterinary Technology students, furthering their knowledge and involvement with animals within our community and beyond. This group promotes awareness for rare diseases or disorders and provides support to those personally, or related to those, struggling while building understanding and compassion for those afflicted. This club promotes health living and exercise through fund outdoor excursions such as hiking, mountain climbing, and kayaking. This group provides opportunities for the development of leadership and service, for an intellectual climate for the exchange of ideas and ideals, for lively fellowship for scholars and for stimulation of interest in continuing academic excellence. Membership is extended by invitation to all students who are enrolled in an Associate Degree Program, have accumulated 12 credits, have a 3.45 grade point average and who are of good moral character and possess recognized qualities of citizenship. The purpose of this club is to educate NCCC and its community about Latin culture, to participate in cultural activities and to promote community service. The Student Senate serves as the governing body representing NCCC students for the purpose of promoting the general welfare of the student body, to stimulate interest in activities contributing to our improvement and to provide every student with experience in democratic government. This group strives to promote free thinking, writing and campus unity by providing information throughout campus and to encouraging campus participation and writing. Contact the Student Activities Office at 860.738.6343 for more information, or email at awetmore@nwcc.edu!